UP local LTN-79 hauls through Port Washington. There's not much rail-served industry on the UP Shoreline Sub, but a few moments ago the crew picked up a depressed-center flatcar, which had delivered machinery for the new natural gas-fired power plant in town. This job usually rates a GP38 or two; it's unusual to see an SD70 on the Shoreline Sub, particularly on this wayfreight. 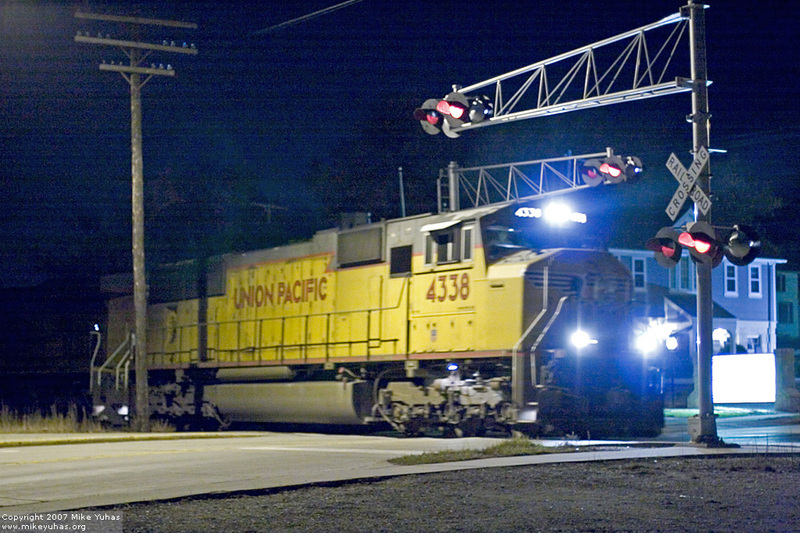 The second unit is an AC45CW-CTE, a class frequently seen in these parts on coal trains. The combined 8,390 horsepower is plenty to handle tonight's 13 cars.